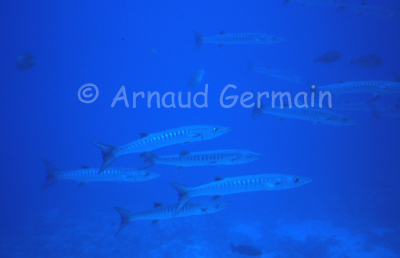 On a drift dive on Panorama Reef, we encoutered this small school of great baracuda right at the start of the dive. The dive turned out to be spectacular as we also saw a hammerhead shark. Barracudas usually ignore divers and it was the case on that day.